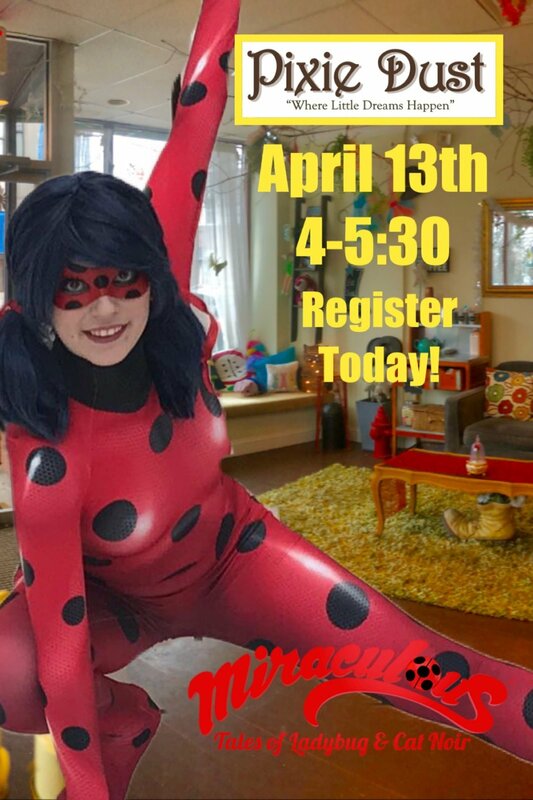 Superhero Ladybug at Pixie Dust! Ladybug from Miraculous Tales of Ladybug & Cat Noir! Pizza, Beverages, Training, Crafting, Desserts and Lot of Fun! Parents Free at Pixie Dust!